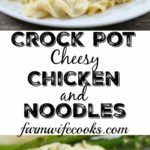 Crock Pot Cheesy Chicken and Noodles is an easy, cheesy twist on the classic chicken and noodles recipe. 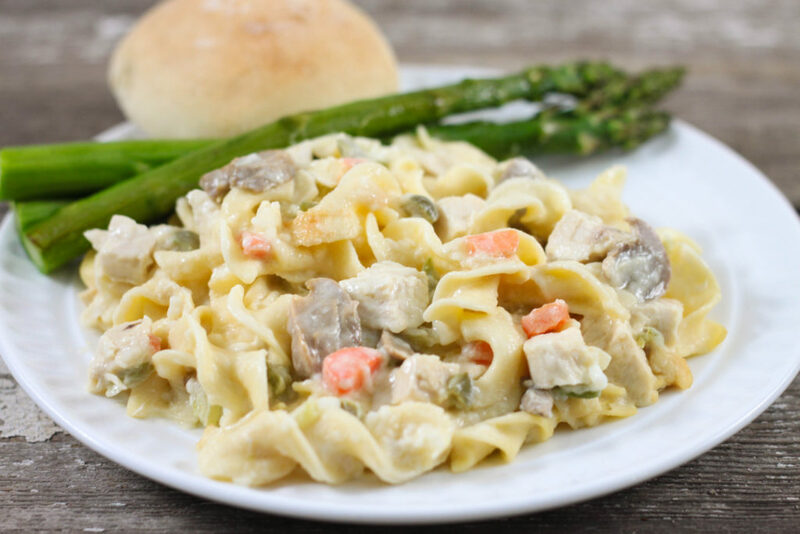 My 4 year old helped me with this recipe and he couldn’t wait to try it since one of his favorite meals is Nana’s Chicken and Noodles. 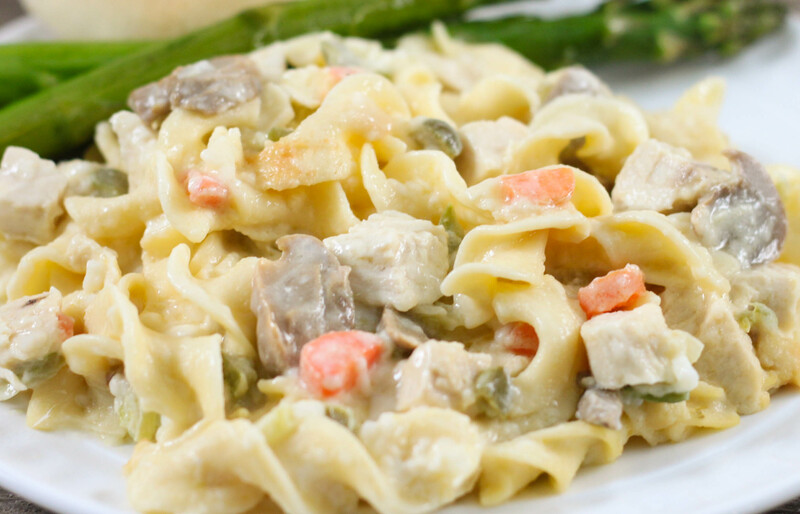 Nana’s chicken and noodles are extra yummy when PaPa makes homemade noodles! He gave this recipe two thumbs up! This is a great recipe to use up leftover chicken or rotisserie chicken. You can substitute the vegetables based on preference, you could also add red peppers. Since the chicken and noodles are cooked already in this recipe the cook time is shorter. The vegetables won’t fully cook in that amount of time. If you are like my husband and don’t like crunchy veggies, I recommend sauteing them for 5 or so minutes prior to adding them to the slow cooker. I personally liked the crunch in this recipe. A cheesy twist on a classic recipe. Combine all ingredients in a 5 or 6 quart slow cooker and mix well. Cover and cook on low 3 to 4 hours. The vegetables will have some crunch if cooked according to direction, so if you don't like that, saute them for 5 to 7 minutes prior to adding them to the crock pot.